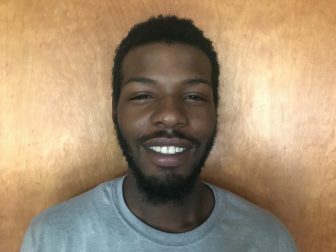 Dewayne Lee is a 21- year-old Michigander working to turn his life around. Raised in a challenging family situation in Detroit, he has moved around a lot, but says he is working to settle for now in East Lansing. Lee, who’s working several jobs including night manager at the Grand River Avenue Jersey Mike’s, grew up in a household where politics were not talked about much. “Voting was something that wasn’t really discussed in my household. It was all about getting to school and work,” Lee said. He said he is eligible, but has reasons why he is not registered to vote. Lee mentions that his hectic schedule gets in the way when he needs to complete personal business. “I am constantly at work all the time and when I do get time off, I am taking care of my family and paying bills,” Lee said. Another factor was his frequent occurrence of relocating. Lee has not been in a stable home for a few years. “I have been moving across the country, from Michigan to California, for about three and a half years. This is actually the first time I have been able to sit and get some stuff done since I moved back,” he said. Registering to vote has never slipped Lee’s mind. He said he is planning to register soon because of his significant other. Lee’s partner enlightened him on the voting process and encouraged him to sign up. Lee said there are many public issues that interest him. “Gun violence is one of them because it is very high from where I come from,” Lee said, noting that he grew up around gang violence and has been following stories about how easy it is to get guns. Policies and laws involving gun control and limitations interest Lee. He believes that the community has a lot a power to change the majority of our social justice issues. Lee said his overall view of elections changed after his partner informed him of things he was not aware of. Lee wishes to be a voting citizen in American democracy and continues to pay attention to local government. “At the end, we have the power to change our communities and inner-city neighborhoods. We all have to remember that in order to have change,” he said. Roughly 37 percent of Michigan’s voting-age population did not vote in the 2016 presidential election, according to the Michigan Secretary of State’s website. David Hilt, 21, of Harrison Township, is one of those 2,862,631 eligible non-voters.